On an October evening back in 1991, we were just trying to arrange a game of golf. The bottom bar of the Irish Centre was full, some had never been on a proper golf course before, others had only played socially and there was, maybe, just a handful of golf club members. But, somehow or other, and with the goodwill of everyone concerned, we’ve managed to make a silk purse out of a sow’s ear. The first elected committee was chairman Eamonn Gavigan, secretary Frances Harrison and treasurer Eamonn Harrison. Amongst those at the inaugural meeting were Padraic Sweeney, Willie Tunney, Tony Molloy, Jimmy Greaney, Jim McEwan, Aidan Comerford, Harry Adamson, Des O’Grady, Michael Diver, Alf Halton, Frank Duggan and Paul Curtis. played at Oakmere Park for the John Friel Trophy. Soon after, McCanns Lighting, Allied Irish Bank, Silverdale Coaches and Copper Cable were sponsors who came on board. The Society held its first annual presentation dinner at the Gateway Hotel in Nuthall that November. May of that year, the we played our first National Championships in Cleveland where Tony Molloy took third prize in the nett section. Further national successes followed. Eamonn Gavigan won the gross individual prize at Leeds in 2000 and the Society team finished runners-up in both the nett team event and the Foursomes knock-out. In 2002 Nottingham hosted the National Championships, which was sponsored by McCanns Lighting, at Ruddington Grange where Noel Henry took third prize in the gross section when 25 societies (200 golfers) from all over Great Britain took part. In 2006 we were, once again, the beaten finalists in the Foursomes at The Leicestershire. However, a year later in Sheffield, we tasted victory for the first time in that competition and also finished third in the nett team event. In 1993 we went on our first tour to Ireland. Sixteen golfers travelled in two transit vans to Bettystown, playing in Holyhead before sailing on the ferry. We travelled Thursday to Monday back then, playing 36 holes each day. 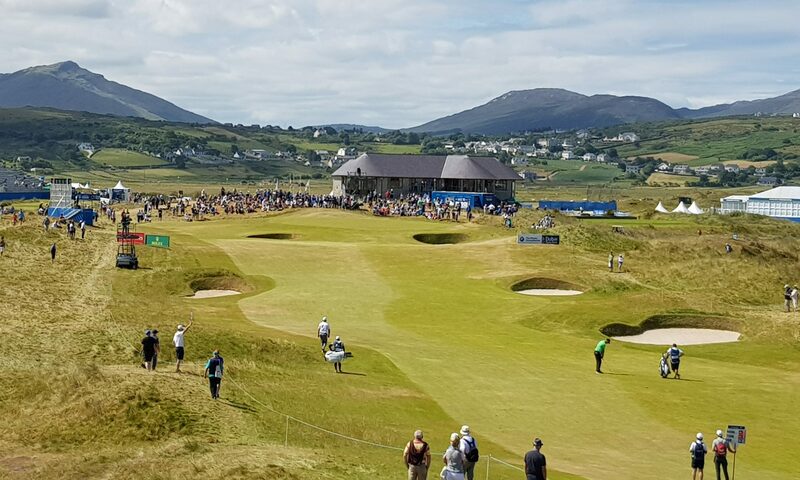 Since then the tour has become one of the main events of the year with 64 travelling to Bundoran in 2016, when celebrating the 25th anniversary. Frank Duggan scored the Society’s first ever hole-in-one in competition during the tour to Clare in 2007. We have played a huge role in the lives of a lot of people in Nottinghamshire and Mayo through our fundraising efforts. Helping others is at the heart of the Society membership and I’m sure it will continue over years to come.